Do you have targets set for your social media work in your home business? What do you think of goals for your network marketing business? are they important? What about developing a social media PLAN that will work? Today I want to talk to you about Social Media Success and TARGETING with your home business. There are many ways to do that, and many ways NOT to do that. But most never set social targets goals. they just wing it. I would suggest that you not only set social media mlm target goals, but set them WEEKLY. Even with Mobile, you need to set some form of PLAN and TARGETS at least to know if you are getting close to the mark of Success. 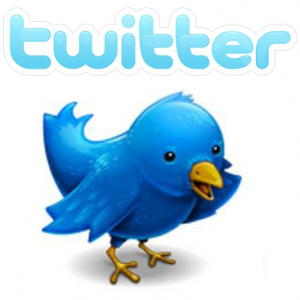 I would suggest that you know how many new twitter followers you want to get a week or month. Set goals for facebook, LinkedIn, Google+, Pinterest, Instagram, youtube, and any other site that is in your niche. 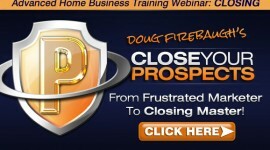 This will empower you to FOCUS your business and start building a huge following. Put a plan together that you do DAILY for 15 minutes. It will make a HUGE difference as 15 minutes is all it takes. BE VISIBLE- but plan on how that will happen. 2. Develop a Social Target Plan. 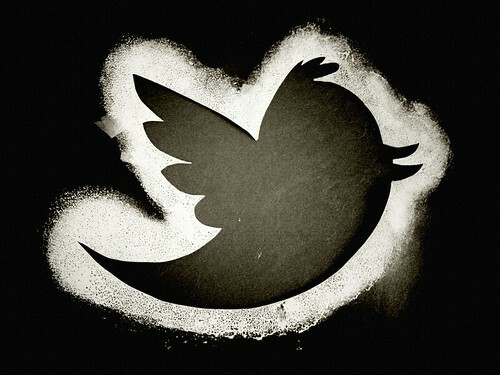 HOW are you going to get the new goal you just set for twitter? 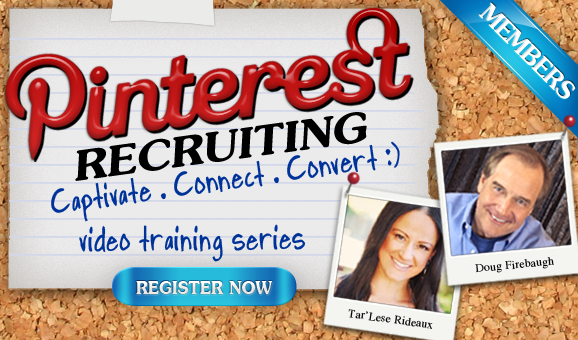 HOW are you going to get the new friends on facebook, Pinterest, and Google+? 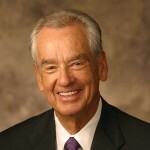 You MUST put a plan together in order to obtain your social goals. In my last post, “Developing a Social Media PLAN,” we talked about developing a PLAN that works. I suggest that you read it and learn how to set a Social Plan. 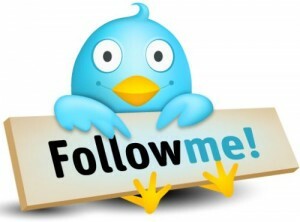 This is what you are PASSIONATE about and a brand in social media that evokes an emotion and MOVES PEOPE towards you. It can be 5 words. It can be a sentence. It can be a phrase. But what are YOU Passionate about in your home business? Emotionalize that aspect and create a Brand theme that will draw people towards you and your business. make yourself UNFORGETTABLW with our social brand. 4. Put your website and blog on SUCCESS STERIODS. Your website is your office and living room. It is your neon sigh saying “This is WHO I AM!” Is it saying what you want? Make sure your keywords are tight as well as relevant. Make sure that your back links are building. Make sure that you use ALL media on your website or blog, not just text. make sure that you are interactive and have GREAT content people want to read. This includes video and audio. Offer something FREE to your visitors. Do these things and you will see a huge difference in your traffic and people asking about you. 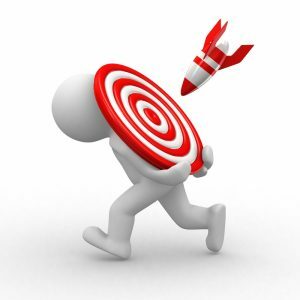 Set some goals NOW for your Social Targets for facebook, twitter, and LinkedIn. Put them in writing. 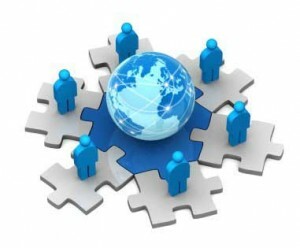 NOW START engaging them in your mlm network marketing home based business. 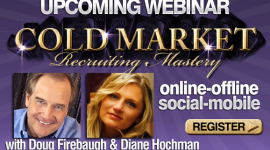 FREE mp3 download- “2013 Recruiting Secrets”- over 25 secrets- with doug and Diane Hochman. What is YOU Leadership Responsibility to your TEAM? 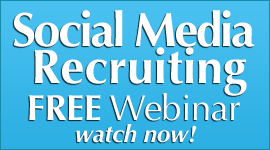 Do you use social media for recruiting for your home based business? 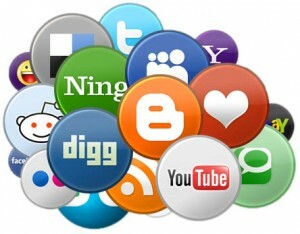 What is your favorite social site for your network marketing business? Does social media play well in your mlm business? 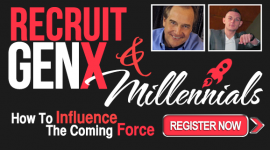 Social Recruiting is something that I have been teaching with a buddy of mine, who happens to be the # 1 Corporate Recruiter in the nation for a national company. 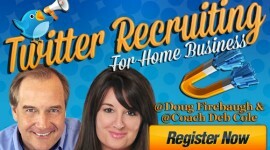 He and I came up wit three BIG mistakes of social media recruiting and applied them to the home business profession. truly should be avoided and I want to share them with you. 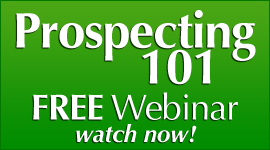 They are applicable to home business recruiting as well, and you should avoid them like the plague. I am going to cove the first one this post, and the next 2 posts I will cover # 2 and # 3. 1. The Recruiter being TOO AGGRESSIVE and coming across WAY TOO FRIENDLY – WAY TOO SOON. Give your candidate time to breathe. Give YOURSELF time to breathe. them there. 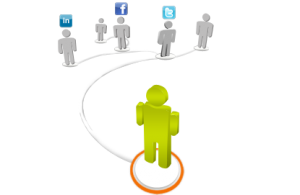 Social Recruiting is a process, a step by step path that you walk them down. 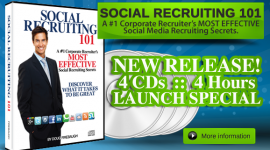 We have developed a magnetic 5 step Social Recruiting process, and it contains 6 simple little focuses. Employing or Continuing the Search. 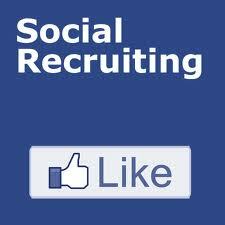 It truly is that simple recruiting with social media. And because of these 6 simple things, you really should not be aggressive at the first. You should consider it much like “dating” and getting to know the person, even if the person is extremely interested. Your FIRST CONNECTION GOAL should be to get the candidate RELAXED, COMFORTABLE, as well as CURIOUS. about their photos and posts. Ask them about their family. Comment and Complement. Relaxed- BE NATURAL and focus on nothing else but what they have displayed on their profile page. Ask what they do where they work and how they enjoy it. build a business where they are located. You get the candidate CURIOUS with your initial videos and presentation about the offer and requirements you are looking for. It is the same with a home business candidate. Curiosity is one of the most powerful emotions you can use in Social Recruiting. 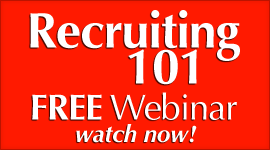 This is part ONE of a three part series on the 3 Biggest Mistakes Made in Social Media Recruiting in your mlm network marketing home business.